Very nice finishes, great beds and well equipped kitchen. This was a quiet, super convenient spot to access the gondola, town and a delightful view out the sliding glass doors. Thank you for your review of our Buena Vista Condo. It is one of our absolute favorites! And if you enjoyed the winter views, you should see the views in the summer. Very nice unit with updated kitchen and bathrooms. 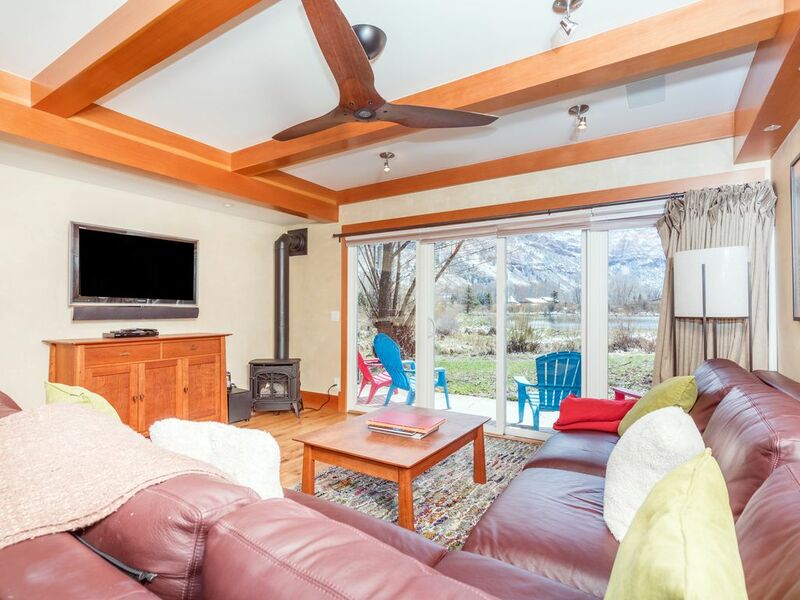 Great location very close to town and gondola. Two couples with young children and the home was perfect. Clean with everything we needed to enjoy a week long stay. Walk to the lift for skiing and all the town has to offer. The Buena Vista condo never disappoints!. It's location is perfect, no matter what time of year. Thank you for your review and we hope to see you again next winter. Or perhaps this summer at a festival! Our family of 4 absolutely loved our time at the Buena Vista condo in Telluride. The condo is upgraded with all amenities you could want (including heated floors in bathrooms!) and the deck/view is unbeatable. It's so gorgeous that couples take pictures outside the deck when walking around the pond. Our friends that stayed elsewhere said that they want to stay at Buena Vista next time. Thank you for your wonderful review! We can't wait to see you all next summer! This property was in easy walking distance from the restaurants, shops etc of Telluride. The gondola was also close by. It had a lovely outlook over a field and the mountains. The house had modern amenities with nice products in both bathrooms and kitchen. Would recommend this property to other guests. Le ski de Telluride Et Golf Resort avec les festivals d'été abondent avec l'aventure pour tous.